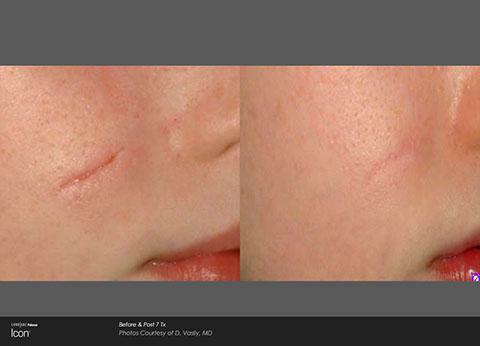 Scarring can be difficult to prevent, but Icon laser treatments can help you erase scars and improve skin texture! The advanced fractional laser technology of the Icon Aesthetic System revitalizes your skin and reduces the appearance of acne and surgical scars without causing painful side effects. How Do Laser Scar Treatments Work? The Icon uses fractional laser light beams to revitalize scar tissues by encouraging natural skin cell turnover. 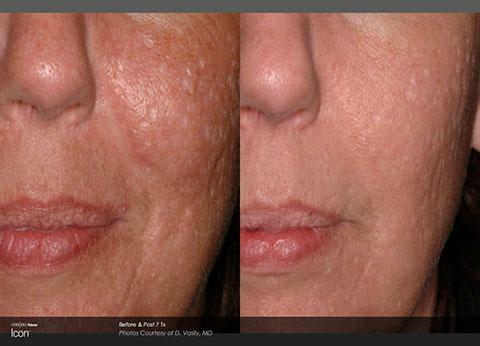 The laser breaks up scar tissues and encourages tissue regeneration. As new skin cells develop, they will lessen the appearance of acne and surgical scars while improving the skin’s texture, tone, and overall appearance. Icon laser scar treatments are revolutionary because they work with the body’s own healing processes to safely deliver results. 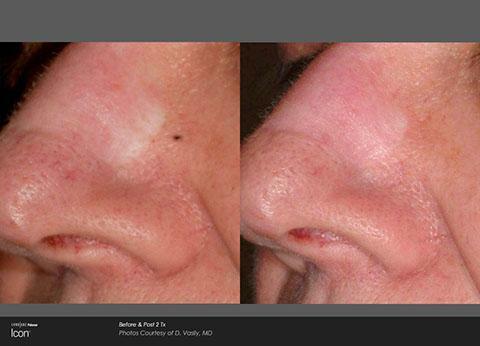 Laser scar removal is suitable for most skin types and areas, including the face. 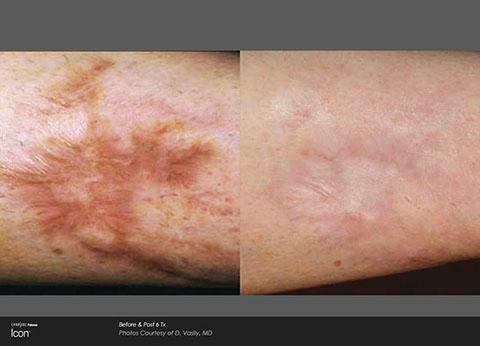 Laser scar treatments last about 30 minutes. 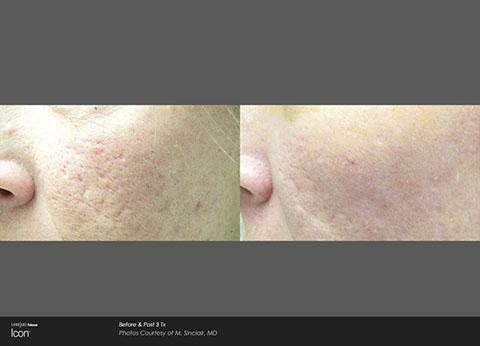 Most patients will need three to five appointments to successfully reduce the appearance of acne and surgical scars. Icon laser treatments cause some discomfort, but a cooling anesthetic can be applied to increase patient comfort. The most common side effects usually include some temporary redness and swelling. Many patients don’t need any recovery time and can resume their normal routines without any restrictions. Contact Le Santé du Miroir Laserplasty today to learn more about laser scar removal!